There are so many apps out there, allowing you to do almost anything you can possibly imagine from your smartphone or tablet. While many of them connect people to their social media accounts or their email, there are business applications available that can help owners and operators manage their businesses easier. On the global stage, customers are shifting from desktop to mobile at an accelerated pace. Mobile revenue is expected to hit $189 billion by the year 2020. As customers abandon desktops for mobile, companies will not only have to adapt the way they market but also the way they run their business. The mobile apps we’ll cover today will help you streamline your operations and make the behind-the-scenes functions more efficient, giving you more time on the frontline to perform the services or sell the products you offer. Below are some of the best apps for the Android operating system that can make your business run more smoothly. Shopify is a powerhouse in the e-commerce sector, giving virtually anybody the ability to go into business for themselves. The company hosts websites for individuals using e-commerce as a side hustle as well as for budding startups looking to grow in the industry. It doesn’t just provide domain names and templates for those seeking to become their own boss. For those who are serious about their business, the company also provides the tools necessary to become successful. One such tool is the Shopify Mobile app. It allows you to view transactions and send out invoices to clients directly from, well, your mobile phone. You can see which accounts have been paid in full, which ones still owe on their accounts, and who is overdue in their payments. This helps you manage your cash flow and accounts receivable in real time, keeping you updated to the minute. By having this ability in the palm of your hand, you can continue to conduct your business even when you are not in the office. Shopify Mobile also connects to your suppliers. If you have a need to replenish your inventory, you can do so straight from your smartphone. This gives you the ability to react to sales trends at a far faster pace than large businesses can. You have no layers of bureaucracy in your company - you are the only layer of decision making you have to go through - and this app helps you take advantage of that fact. Gusto is a great app that helps you manage several of your human resources functions. If your small business has employees other than yourself, then you will want to install this app. Payroll can be a pain to manage, but not with Gusto. It keeps track of an employee’s hours and will automatically email a pay stub once their direct deposit is issued. If you offer employees benefits, then this app will also help you manage their deductions, automating the process once you enter the information into Gusto. Gusto also helps with the onboarding process, allowing you to fill out federally required paperwork such as I-9s straight from the app. It will send your new hire information to the IRS and other government agencies. Gusto will take care of your taxes as well. Federal, state, and local tax filings are also automated once you have the app set up with the different tax rates for each one. You can Skype with someone and share your computer screen with that person to demonstrate what it is you are discussing or to illustrate your point. Video conferencing is good because it allows both you and your clients to see who it is they are doing business with. You get to put a face to a name and voice, and that can help develop a good relationship between all parties. 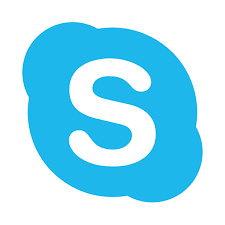 Using Skype will help you work with vendors when issues arise. They will be more likely to help you in a jam and you can work with them when issues occur on the vendor’s side of things. Customer Relationship Management (CRM) is an integral part of any business in the digital age. Connecting with your customers is not only right from a customer service standpoint, but it is also good to help generate repeat business. SalesforceIQ allows you to manage your CRM and connect to customers like never before. This app allows you to manage all of your social media accounts at once. Send out your desired message once and it can go to all of your outlets. Connecting with your customers is the new age method of word-of-mouth marketing. A customer’s “like” will be seen by friends who will in turn “like” your business’ social media page. This will help bring in more clients and customers interested in doing business with your company. SalesforceIQ will keep track of all of your client data and help you mold a marketing plan aimed at them. This can lead to email marketing, directly offering customers discounts towards their next purchase or service use. You can also see what categories of product are selling and determine the demographics of the buyers. From there, you can adjust your marketing or your product assortment to fit in line with the demands of the customers. In many fields, particularly IT, project mismanagement is the number one reason why a project fails. Trello is the perfect solution to keep your projects on time, within your budget, and to the quality you need. The app allows you to keep track of multiple ongoing projects in progress at once. You can assign team members to an assignment, assign duties within each project, and follow up on their progress. By making use of the included checklist system, you can see at a glance where each member is at with their own tasks and how the team as a whole is progressing. This will allow you to make changes as needed, or you can review any completed work, comment on that work, or assign it for revision. Trello makes it easy to maintain deadlines by placing due dates on tasks and projects. You can also add attachments to projects when new information becomes available. Anything done in Trello will be automatically communicated through email to all team members assigned to the project so everybody stays informed.